Know a police officer who loves their car? Our Cops are Hell on Wheels t-shirts and sweatshirts make the perfect gift, and let them know they are appreciated. Add a Cops are Hell on Wheels coffee mug, too. 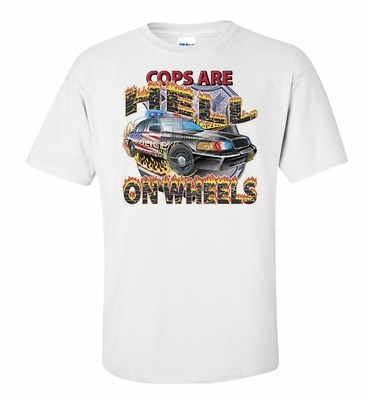 Remember� you found the Cops are Hell on Wheels Shirts at TShirtHub.com, where high quality came at a low price.